†Gulf Research and Development Fellow. ‡National Academy of Science—National Research Council Postdoctoral Research Fellow supported by the Air Force Office of Scientific Research. Measurements of the time-resolved early afterglow of the helium spectrum show that the Hopfield continuum and the visible bands occur primarily as an afterglow following pulsed excitation. Following a relatively rapid build-up, the slower afterglow decay of both the Hopfield continuum and the molecular transition 3pπ, E1Πg → 2s, A1Σu+ is an exponential function of time, for approximately 50 μsec. Within the range of experimental variables, the decay rate is found to depend on the He pressure, but not on other discharge conditions. The kinetic constant associated with the exponential decay increases linearly with the He pressure, indicative of a two-body process. Separate studies of two regions of the Hopfield continuum, near 825 Å and 680 Å show that, for fixed pressure, the kinetic constant associated with 825 Å is the same as that observed for the transition E–A within experimental error. The kinetic constant at 680 Å is slightly smaller. The rate of change of the kinetic constant with pressure is the same in all three cases. The two-body rate constant obtained is 38 ± 2 × 10−15 cm3/atom · sec. Both the magnitude and form of the pressure dependence of the observed rate constant indicate that the three-body process He+ + 2He → He2+ + He is not the dominant process of He2+ production in the early afterglow. The data are consistent with the rapid production of He2+ in a two-body collision of an excited and a ground-state atom. Residual-impurity quenching by H2, Ne and N2 did not affect the afterglow decay. Values of quenching rates for all three gases are reported. Possible interpretations of the observed afterglow kinetics are discussed. a The quoted errors are the standard deviations of the least-squares fit. b Calculated assuming a gas temperature of 298°K. Cross sections (Å2) for quenching of long-lived species in helium. a E. E. Benton, E. E. Ferguson, F. A. Matsen, and W. W. Robertson, Phys. Rev. 128, 206 (1962). b E. E. Muschlitz, Jr., “Collisions of Electronically Excited Atoms and Molecules” in Advances in Chemical Physics. Molecular Beams, Vol. X, J. Ross, Ed. (Interscience Publishers, New York, 1966). c J. Sayers and D. Smith, Discussions Faraday Soc. 37, 167 (1964). d E. E. Ferguson, F. C. Fehsenfeld, D. B. Dunkin, A. L. Schmeltekopf, and H. I. Schiff, Planet. Space Sci. 12, 1169 (1964). e C. F. Giese and W. B. Maier II, J. Chem. Phys. 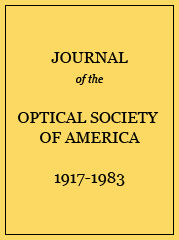 35, 1913 (1961); J. Chem. Phys. 39, 739 (1963). f L. Friedman and T. F. Moran, J. Chem. Phys. 42, 2624 (1965). h The cross sections reported were derived from the experimental quenching-rate constants by assuming that the process was the quenching of He2+ at300°K.